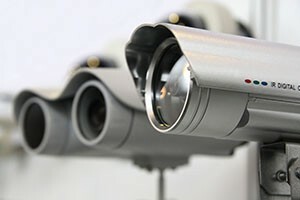 Our client is a security guard company that supplies security to retailers, shopping centres and sporting events. They had successfully managed to secure a fairly large contract from a large retailer which was great news for the business and it’s profits. The down side of the contract was the payment terms from their new client. They had to wait 60 days from the end of the month to get paid. In some instances that meant they would have to wait 90 days and that was if they were paid on time. The impact on cash flow would be severe and as such they contacted Funding Solutions and asked us to explore their options. We looked at the business, it’s processes and the profile of their debtors. It was obviously well suited to invoice finance but we wanted to ensure the client had a facility that was structured properly and one that would be cost effective. What became apparent is that going forward there would be a concentration issue meaning they had a large amount of their outstanding debts with this large retailer. Some lenders have a real issue with this and will impose a concentration limit and this can impact on the funding generated. Fortunately we have lenders that do not impose a concentration limit. In talking to the client about their options they decided an outsourced credit control service would benefit their business. The credit control was taking up time that they should be devoting to operations and sales. In view of this we looked at a factoring facility that included credit control and one where there was no concentration limit. We worked through the various costings with the client and we were able to select the most cost effective solution. Our client now has an invoice factoring facility in place with no funding restrictions. They fully understand the cost structure involved with the facility. They are now looking to grow the business even further and can do so safe in the knowledge they have a working capital facility in place to finance that growth.